Well so sad. 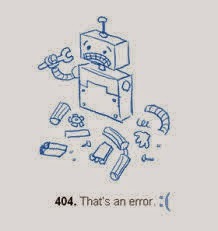 I mentioned awhile ago that I was having technical issues with my blog (I'm not very techy!). I just got off the phone with my website tech support and confirmed that INDEED most people have been unable to access Moore Minutes for several months. The domain wasn't redirecting. What?! A lot of readers assumed I closed my blog because it wasn't accessible...at all! A few people could still directly access, but my blog was basically only available indirectly through facebook or other links, like Pinterest. Consequently, I have lost quite a bit of traffic and readers through this time. I have finally corrected the issue.. I am going to work on letting people know that my lil ole blog is still alive! It will take me awhile to rebuild, but that's all a part of the journey. Thank you readers for your support! So glad you got this fixed! Can't wait to see where you go from here.